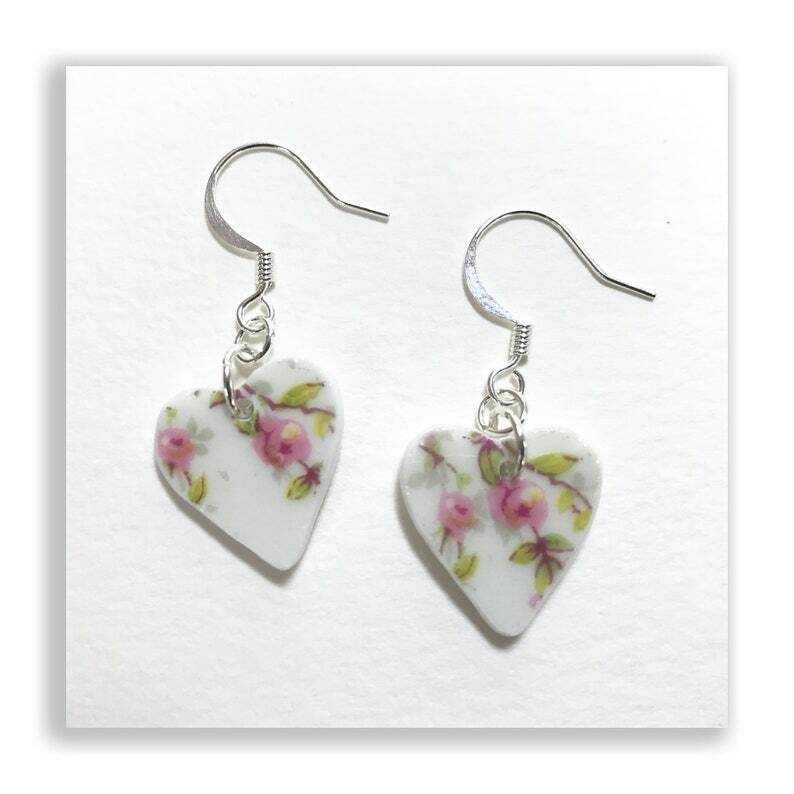 Pretty heart shaped porcelain earrings. Tiny pink roses with green leaves. Light weight with silver plate ear wires. Perfect gift with pretty free gift box included. Each piece of jewelry in this shop is lovingly made in my home studio from vintage broken china I have collected in my travels around New England. NOTE: There may be a slight variation in the pattern. I sometimes cut several of the same shape from one piece of china. All are beautiful, however, if you would like to see each one I will be happy to send photos.